Although Australia does not officially celebrate Halloween (you’d be forgiven for thinking it does considering the large amount of Halloween themed knick knacks in shops), it does provide a great opportunity to tell some creepy tales. And Camden, with its long history and numerous heritage buildings, is an ideal place to find them. There have been reported ghost sightings and hauntings in numerous areas, from Menangle House, to the Picton Mushroom Tunnel, and even Camelot. 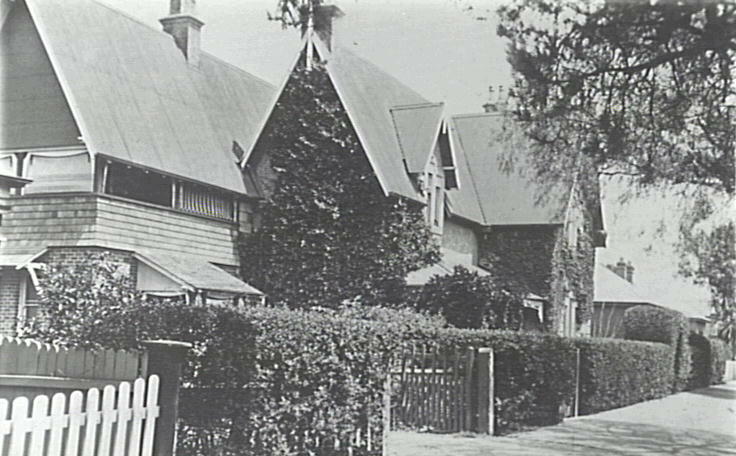 But three buildings stand out the most as unsettling locations: Wivenhoe, Studley Park, and Macaria. A basic description of Wivenhoe and its history will already fill people with dread. Built in 1837, the property was the site of an orphanage from 1910 until 1957. Next to an Insane Asylum, an old orphanage gets a solid 10 on the creepometer. But despite this setting, a search for paranormal accounts turns up little. Specific details of sightings are hard to find, and the ghost tour, “The Guts and Ghost Tour”, seems to rely heavily on the reputation that the place is haunted rather than regular sightings or unusual activity. That being said, a mother and daughter took some surprising snaps after they wandered away from the tour. 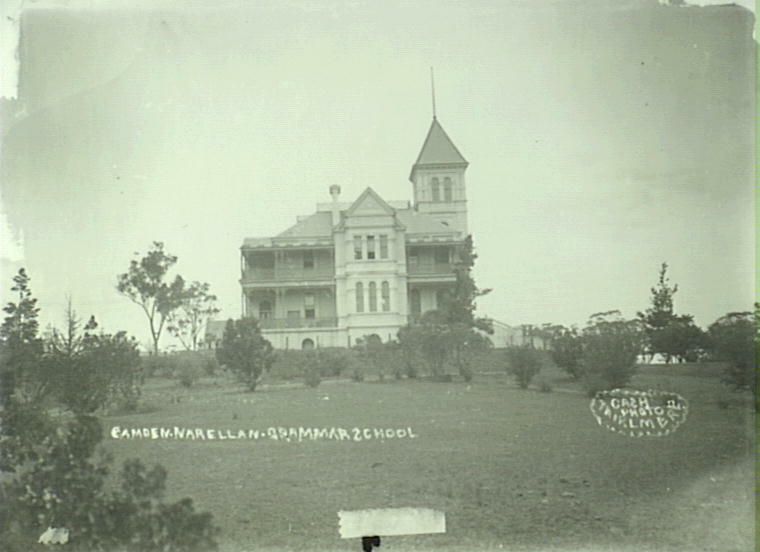 Studley Park when it was known as Camden Narellan Grammar School. If Wivenhoe is the perfect setting then Studley Park has the perfect history of tragedy. Originally built by grazier William Payne in 1889, the site has witnessed the death of two children. In 1909 a 14 year old drowned on the property’s dam and 40 years later the son of then owner Arthur Gregory died from appendicitis. 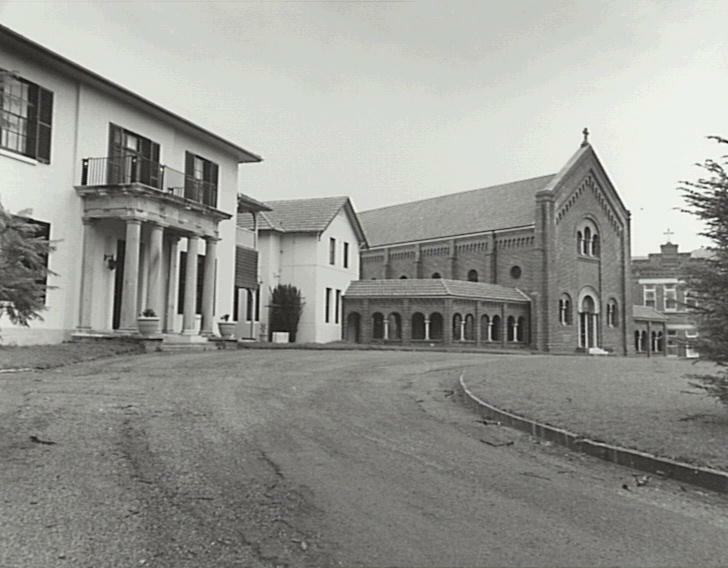 Studley Park is perhaps the most famous haunted house in the area, with it being featured in the 2001 paranormal reality show Scream Test, where one contestant was so unsettled they had to leave the competition. But locals have experienced activities as well. In 2010 while undergoing renovations, the contractors made a disturbing discovery of a hangman’s noose dangling from the steeple roof. Others have reported unexplained lights, and seeing a lady standing in a window. A ghost hunter duo also took a picture of a ghostly young boy when spending the night in the basement. Macaria, with creeper-covered walls in the early 1900s. Studley Park may have the fame, but Macaria, with its rustic gothic gables and long list of sightings, is the local favourite. It too, has a history of tragedy and intrigue. The land that Macaria was built on was originally purchased in 1846 by Sarah Tiffin (nee Milford) who was a maid and then Housekeeper at Camden Park for the Macarthurs. Unfortunately, Sarah’s marriage became strained, her health declined, and she passed away in 1854 leaving the property in her estate. Macaria itself was later constructed for Henry Thompson, who ran the flour mill in Camden. He did not survive to live in the house. There was a labour shortage in Camden because of the discovery of gold in Victoria and so it took nearly 16 years to build. When it was nearly complete in 1871, Thompson died from a freak accident, when a horse unexpectedly bucked and kicked him in the head. It briefly became a school, before the West family, consisting of Dr Francis West, his wife Adeline (nee Jones) and their three children Kathleen Hope, Richard Francis Kirby, and Lydia Patricia, moved in. The family left the house under sad circumstances, when Dr West died suddenly at the age of 58 in 1932. The house shifted between a private residence and several public roles, from a dental surgery, to Library and the surgery of Dr Lumley, and finally the administration building for Camden Council. The goings-on at the building involve chairs being placed on desks, lights randomly going on, ceilings falling on dental patients, doctors being attacked while going to sleep, objects being moved, invisible objects blocking passages, and usual odours like toast and cigar smoke. So well known are the ghosts of Macaria that they have been named and given personalities. Sarah, believed to be that of Sarah Tiffin, is peaceful and friendly, happy to reside in the property, although having a dislike of children. The other is Bill, although no known resident has been attributed to this ghost. Unlike Sarah, Bill is more mischievous and aggressive, believed to be the cause of most of the paranormal harm experienced in the property. Denford, M. (1994-1995) Macaria. Camden and Wollondilly Way. Powell, M. (10.03.2000) Macaria’s century old residents. Back Then. The District Reporter. Richardson, L. (11-12.12.2010) A spook in the house. Sydney Morning Herald. Stillitano, I. (5.3.2008) Go for ghosts, guts, and ghouls. Camden Advertiser. Stillitano, I. (6.1.2010) Workers spooked by dangling noose. Camden Advertiser. Wrigley, J. (6.12.2013) A youngster’s memory of ‘Macaria’. Back Then. The District Reporter. Hi, I am Dr Lumley’s granddaughter and spent days and nights at Macaria with my grandparents. I can assure you Sarah is well and truly there. She is gentle, just walks the corridors around October. She used to come into the room my sister I shared. My grandmother would say “don’t worry its just Sarah.” and we never did. My grandfather was not quite the believer but he did acknowledge her eventually. I’m not sure who this Bill is, but we believed my grandmother went back to the house after she died when it was undergoing renovations to become the library. She always said she would never leave the place and had a very mischievous sense of humour. She visited us after her passing on several occasions. We used to say “oh she’s back at Macaria causing a ruckus” when we read the Local news reports.